Three former Mt. Ida College students have filed a lawsuit against the college, former administrators and trustees, claiming they were victims of misrepresentation, fraud and invasion of privacy. Mt. Ida College students were forced to find another institution to attend after the school closed in May as a result of merger discussions with Lasell College. Some students experienced issues with transferring completed credits or lost out on financial assistance opportunities, according to The Lowell Sun. The college’s campus was sold to the University of Massachusetts-Amherst for $72 million and is being used as a center for student career development programs, The Lowell Sun reported. Mt. Ida College board of trustees released a statement in response to the lawsuit refuting the claims. 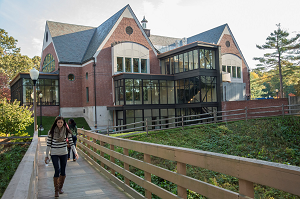 “The allegations by three former students, which rely upon incorrect information published erroneously in old media stories and statements twisted out of context, are meritless and will be vigorously defended by the college, its former officers, and its trustees, all of whom worked compassionately and tirelessly to provide realistic transition opportunities for all students following the college’s closure,” the statement said.